Upgrading or improving your home can be one of the most rewarding activities you could undertake – and that includes monetarily, because depending on the improvement, you can boost your home’s value and recoup some of your investment when the time comes to sell. However, it’s important to remember that upgrading your house isn’t exactly a dollar-for-dollar investment; you probably aren’t going to make all of your money back that you sunk into the improvement, so pumping $5,000 into your kitchen and then expecting to just tack on an additional $5,000 to your listing price when you sell it is very likely unrealistic. Which home improvements result in the highest return when it comes time to sell? There are several that are likely to generate at least a small increase in your home’s value, but before you decide what to do, think about how long you’re likely to stay in the house and from which upgrades you’ll get the most enjoyment. It’s true that the kitchen is the heart of the home, and for that reason kitchen upgrades tend to be some of the best improvements you can make in terms of increasing your home’s value. Plus, depending on what you’re doing in the kitchen, the upgrades tend to be much more flexible or forgiving in terms of your overall budget than other rooms in the house. On the cheaper side, one way you can brighten up your kitchen is to replace the cabinet doors and paint the cabinets. Following trends dates your kitchen quickly, so try to go with something classic. Plain dark or light wood tends to work well when you’re updating cabinet doors, or pick a paint color that meshes with the rest of your decor. Adding a backsplash instead of plain paint can also be an easy way to upgrade your kitchen on the cheap side. And then there are the more expensive upgrades, like replacing your laminate countertop with tile or even granite or quartz. This will require more of a monetary investment, but it can elevate your kitchen’s look (and the price of your home), so it’s worth considering. Talk to your contractor or even call up your real estate agent to ask what they think about your options. Appliance upgrades are not cheap, especially if you’re going to upgrade everything in the kitchen, but if your appliances are looking tired and you’ll get a little use out of the new ones before you decide to sell, it can be well worth the investment. Even though stainless steel appliances aren’t exactly new, they’re new enough that they can give your entire kitchen an “updated” look with mid-range appliances, which can do quite a bit for the sales price of your home. Although most of us don’t spend quite as much time in the bathroom as we do the kitchen, it can still pay to drop some home-improvement dollars on a bathroom update. Replacing cabinets and countertops is sometimes a good idea, or updating the mirror to brighten up the room. If your house doesn’t have any bathtubs, adding a tub is often a big winner – long, deep tubs where even a tall homeowner can stretch out and relax are always a good investment. Re-tiling the shower can also make your bathroom look much better, and installing a new showerhead is a worthy improvement that both you and a future buyer can both appreciate. Adding livable square footage is one of the easiest ways to boost your home’s value instantly. Even if the basement is technically already part of your house, if it’s not finished, then it doesn’t count toward the gross living area (GLA), which is one important way that appraisers and agents calculate value. You might not be able to add a full bedroom, but if you can turn your basement into a home gym, second living area, office, or movie theater space, then you’ll be able to claim all that square footage as GLA. 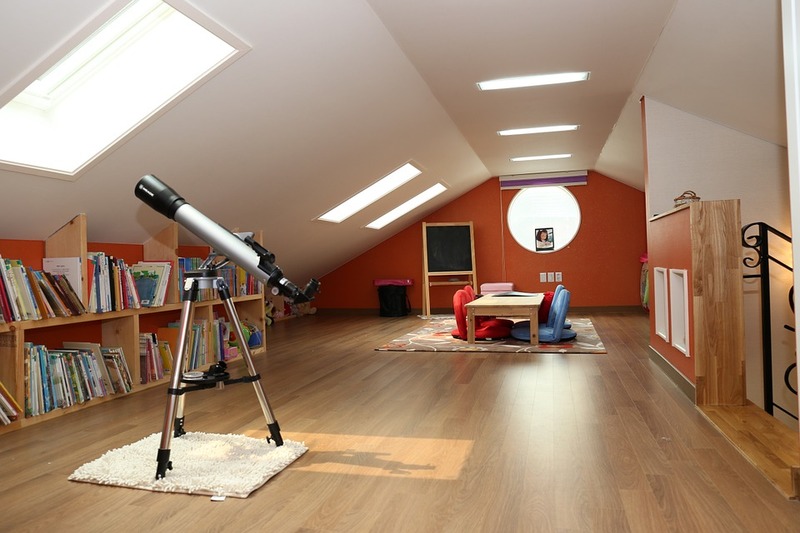 If your attic already has a window and is accessible via stairs or a ladder, then all you need to do to create a bedroom is to finish your attic and add a closet. This can also add GLA to your house, not to mention the perks of having an extra bedroom. Many buyers are prioritizing environmentally friendly, low-cost homes that make the most of energy efficiency. If you’ve had an energy audit done on your house and have a list of recommendations, this could be a good place to sink extra money. Common suggestions include replacing insulation, windows and even external doors, and adding solar panels. That said, solar panels can be a hit-or-miss home improvement in terms of investment. Some plans ask the homeowner to pay off the solar panels month by month over a matter of years, and if your panels aren’t fully paid off by the time you decide to sell the house, then some buyers might balk at the idea of continuing to sink their own money into what was essentially your improvement. If it’s possible, buy your solar panels outright so you can include them as part and parcel of the house when the time comes to sell it. Inside and out, there’s almost nothing that makes a house look instantly nicer and brighter than a fresh coat of paint. Choose a high-quality paint type and experiment with colors; there are all kinds of apps that allow you to try out a new paint color before you dive in and invest. 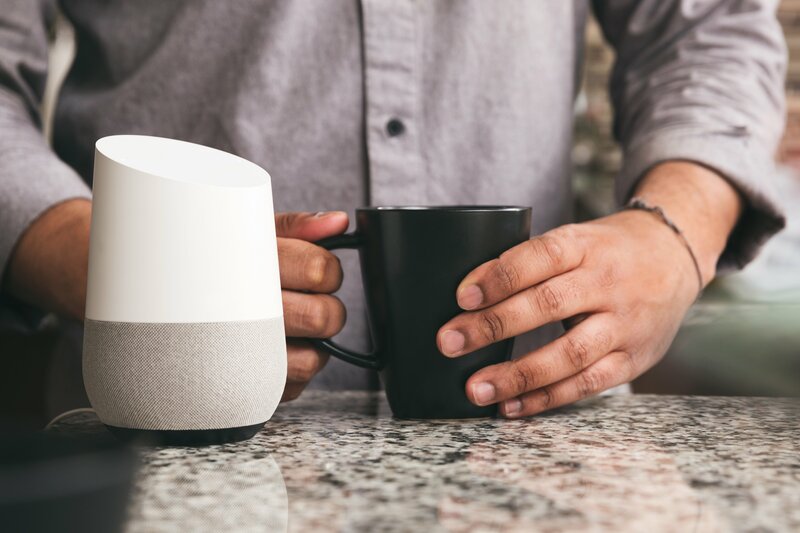 Not everyone has an Amazon Alexa or Google Home device, but for those that do, there are plenty of items you can add to your home to make it a little “smarter” and easier to control by voice. Whether it’s a smart thermostat you can control with an app, a smart lock for your door that’s programmable to allow pet-sitters or house guests to walk on in, a light system that allows you to create a specific ambiance in your living room, some buyers will definitely appreciate the fact that your home appears to sport the latest and greatest in technology. Adding a deck or an outdoor kitchen to your home can be a huge selling point for future buyers, especially if you live in an area where people tend to spend a lot of time outside. Another popular outdoor upgrade is landscaping, which can definitely add a lot of curb appeal to your home – just make sure that any landscaping you add is relatively low-maintenance. Many younger buyers prioritize yards that are easy to maintain over the landscaped expanses of grass that were popular a couple of decades ago. 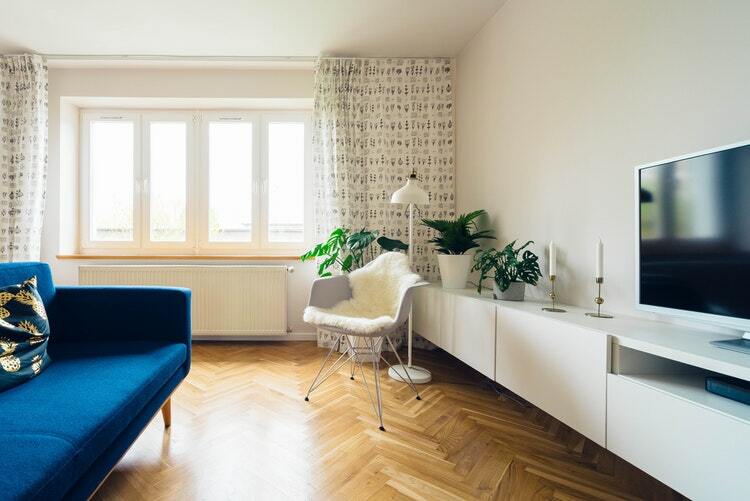 If your carpeting is looking a little sad, or you’ve got a linoleum floor in the kitchen that hasn’t changed since the house was built, it could be time for you to splurge on some updated flooring that brings your house into the new century. It’ll make your home look nicer while you’re there and increase the resale value when you’re ready to move on. To make your house appealing to buyers of all ages, one upgrade you can make is making your home more accessible. Can you create a master suite with a bathroom on the main floor to eliminate the need for stairs? Can you add rails to the bathroom to make it safer? Widen doorways and maybe replace carpeting with hardwood flooring or laminate? More and more companies have remote work as an option for employees and their employees need a quiet place to work at home. Even if it’s not, a home office can be a welcome addition to most households, whether it contains students who have homework or a family member who needs space to go over bills and organize the household on occasion. Some homes might not even require a full office; you might be surprised with what you can do with a little “laptop nook” with plenty of plugins and a wall-hanging desk to maximize space. There are so many options when it comes to home improvement possibilities that it might seem hard to choose. Just remember that any upgrade you make needs to serve two main purposes: It should suit your current lifestyle in addition to (hopefully) boosting the resale value of your home. A full dollar-to-dollar return on your home sale investment probably isn’t likely, but when you factor in the enjoyment that you and your family will get out of any improvements, you’ll find that most of them are well worth what you’ll spend – and then some.